MONDAY is a regular full school day. TUESDAY through FRIDAY students will take finals and will be released at 12:50. The Cafeteria will be serving sack lunches. BUS SCHEDULES will be adjusted accordingly and we request that parents make sure students are picked up at that time. The ATTENDANCE OFFICE would like to encourage parents to WAIT UNTIL AFTER dismissal to pick their child(ren) up during testing days. 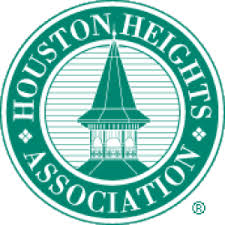 Students must be in Heights H.S. UNIFORM ALL NEXT WEEK. Students out of uniform will NOT BE ALLOWED TO TAKE THE FINALS for that day. They will have to make up the finals after we return in January. Friday, December 16th is the last school day this semester. School will resume for students on January 4th, 2017. On that day, students should report to Homeroom for their Spring Semester schedules. Please direct any questions to your BULLDOG'S Academy Assistant Principal.